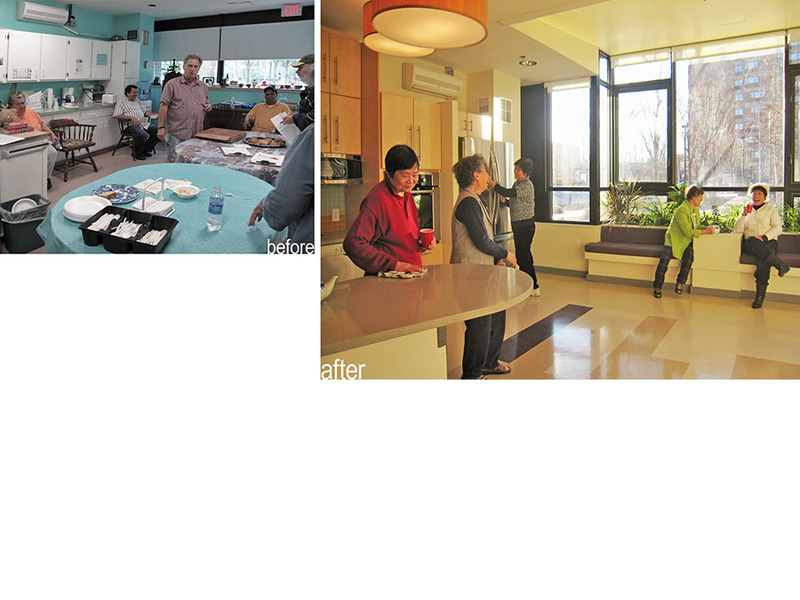 The Flynn Kitchen is the senior activity center for the community of Mission Park – a diverse, 1000-person ‘neighborhood within a neighborhood’ in Roxbury, Massachusetts. 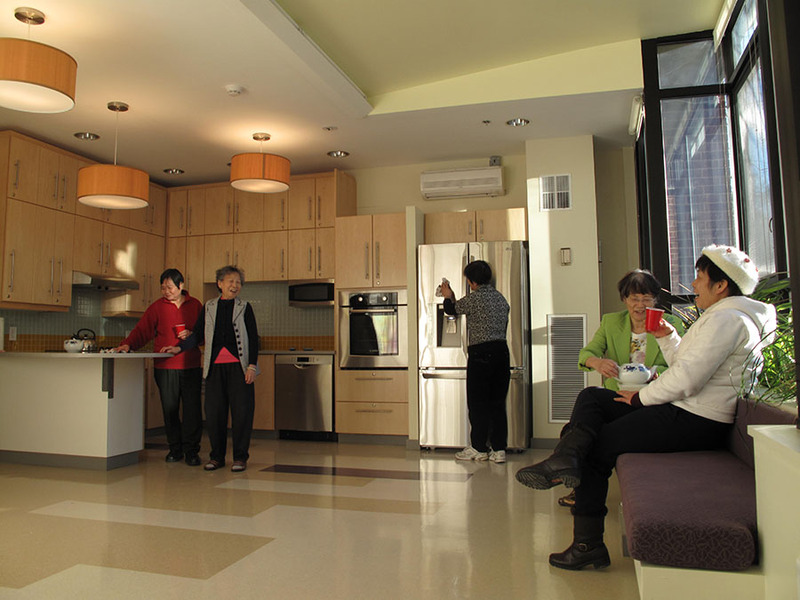 The ‘Kitchen’ is the home base and popular gathering spot for the several hundred senior citizen residents of this community, as well as a suite for bingo, mahjong, classes, and movement programs. 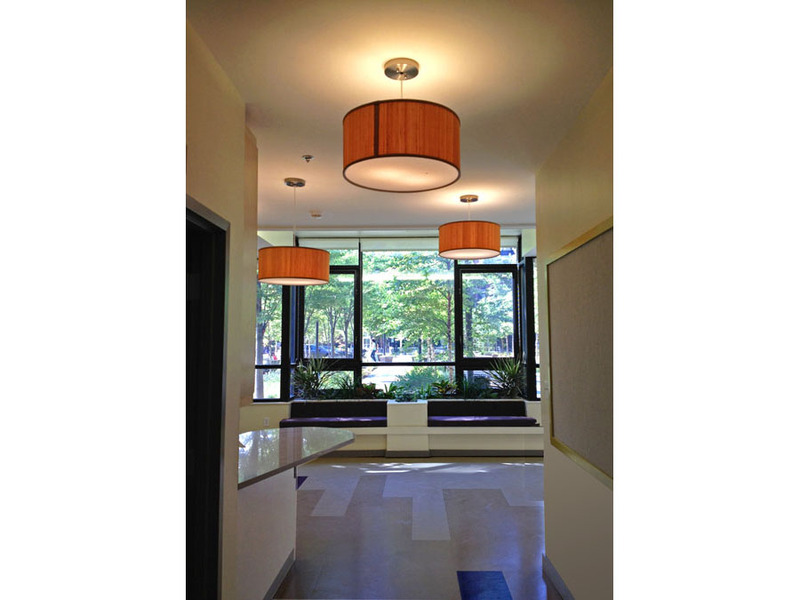 We worked closely with program staff and directors to completely renovate the 1200 sq ft. center to create a more functional, comfortable and contemporary space. 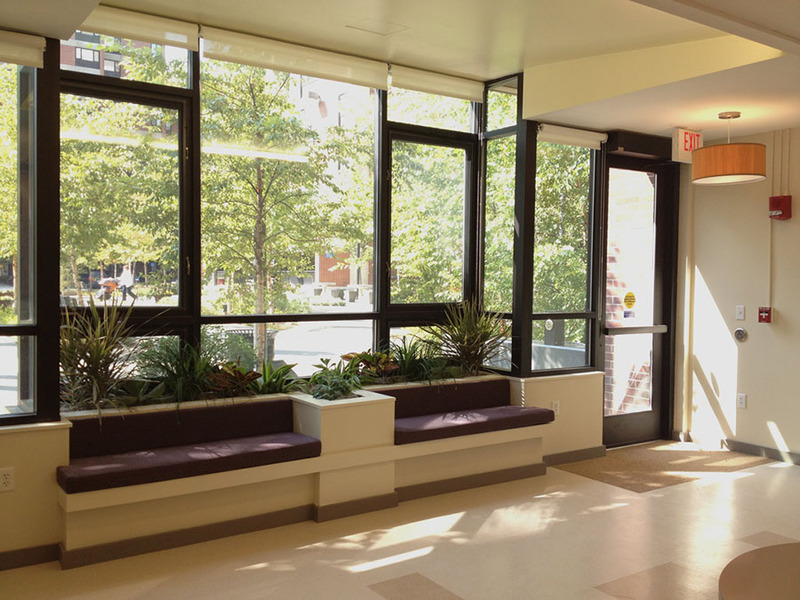 This interior fit-out includes a new seating bay with integrated planters, connecting the space to the adjacent public plaza and bringing natural lighting and fresh air to the busy center.